Dame Janet, our Chancellor, is a prominent academic and musician. She acts as a ceremonial figure-head of the University. Dame Janet has an important ambassadorial role in representing the University to external audiences to help build support for our mission. In 2013, Middlesex University was proud to hold the inauguration of our third Chancellor Dame Janet Ritterman. Janet is an eminent pianist, accompanist and academic, who was appointed DBE for her services to music in 2002 Queen's Birthday Honours. Her impressive background in pedagogy and far-reaching research made her a natural choice for this important position. A former Director of the Royal College of Music London and Principal of Dartington College of Arts, Janet brings a wealth of experience to her role as Chancellor. As an esteemed pianist and accompanist, she specialised in working with singers, in chamber music performance and in the training of gifted performers. Having built her reputation as a performer, Janet then added teaching and research to her range. She has produced national reports on orchestral provision and opera training, and has delivered addresses on music and music education at national and international conferences. She remains engaged in research into aspects of music pedagogy and repertoire. Janet has taught in schools, colleges, universities and Saturday music centres, and has designed and run undergraduate and postgraduate courses in music and in music education. 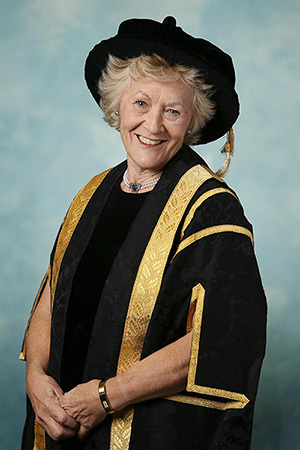 Indeed, her first post in higher education was at Middlesex, where she joined the staff in 1975, and contributed to the development of the BA in Performing Arts. Now an Associate Fellow, a member of the Advisory Council for the School of Advanced Study of the University of London, and a Strategic Development Adviser for the Orpheus Institute in Ghent, Belgium, she continues to play a part in higher education, and serves on several trusts and other national organisations connected with music, the arts and education.